Brave New World among top 10 books Americans most want banned | Books | guardian.co.uk. This is a slightly misleading and somewhat patronising view of American life, when you consider, as the article states, that this list is based on a total of 348 “attempts” to remove books from American libraries. But it still makes interesting reading – at least the article does – not sure about the books as I’m a little disappointed by the fact that I’ve only read one of the books on this list! This could lead into a very interesting discussion with learners. And quite possibly a very emotive one, so a certain amount of judgement needed as to whether this would be s suitable issue for your class! 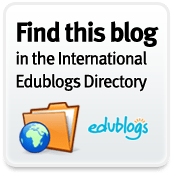 But if learners wanted to express views on what was or wasn’t suitable to discuss in school, or topics that are inappropriate for the local library, then why not? Or of course if they want to defend freedom of speech? It is interesting to think about what is acceptable to talk about in the classroom and what isn’t – Scott Thornbury has an interesting perspective in “T is for Taboo“, it might be fun to use some of his themes as a lead in with the class – challenge them to find a picture of a mother comforting small children, young hispanic people working on a car or an old lady with twenty cats. And then ask them to think about why they might not have been able to find the images? The alternative to choosing which books to ban, is to choose which books to select in…. 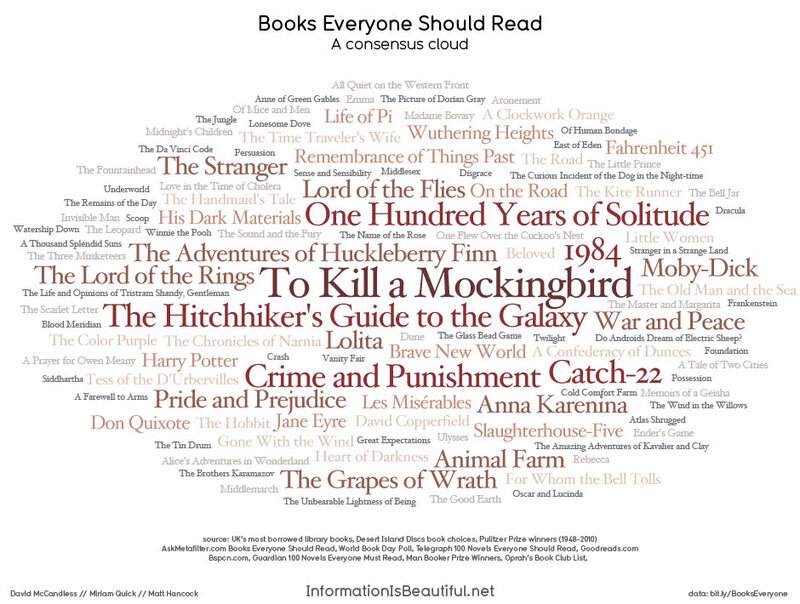 David McCandless from informationisbeautiful created the visualisation below, of 100 books everyone should read (taking a composite ranking from a variety of sources). Why not divide up the books amongst the learners in your class and send them off to wikipedia or amazon or even the local library, to take a quick look at their set of books and decide which ones to keep and which ones not to. When the class reconvenes, they can, as a whole, decide on a top 50 books that everyone should read.